An old friend from high school is pregnant!!! 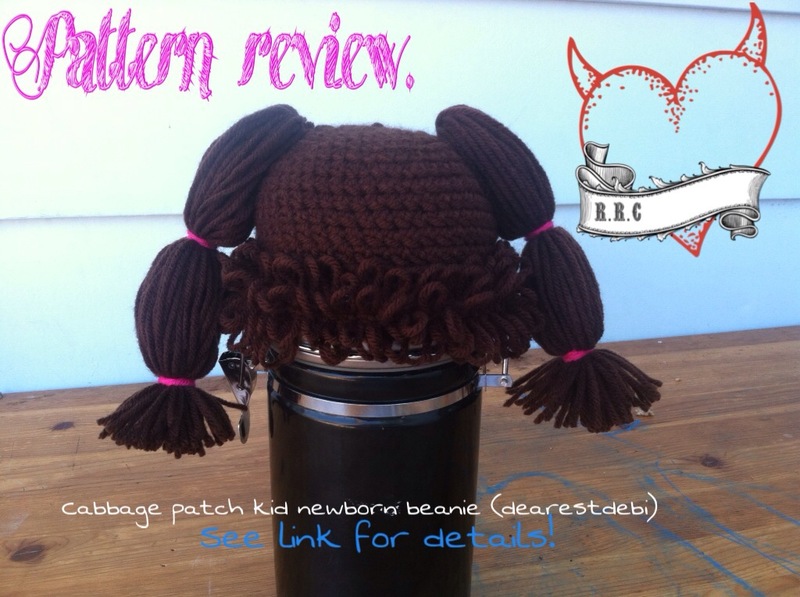 Her mother requested a cabbage patch wig for her baby to wear of course :). A family of beautiful brunettes, I went with red heart super saver dark brown. The pattern is free, and can be found HERE.http://dearestdebi.com/crochet-cabbage-patch-kid-newborn-beanie credit goes to dearest debi. The pattern was really fun. I had never used the loop stitch before. I read a lot of people don’t like the loop stitch. Personally I am huge fan and I plan on making the boys version of Dearest Debi’s wig too! It’s made up of loads more loop stitches. 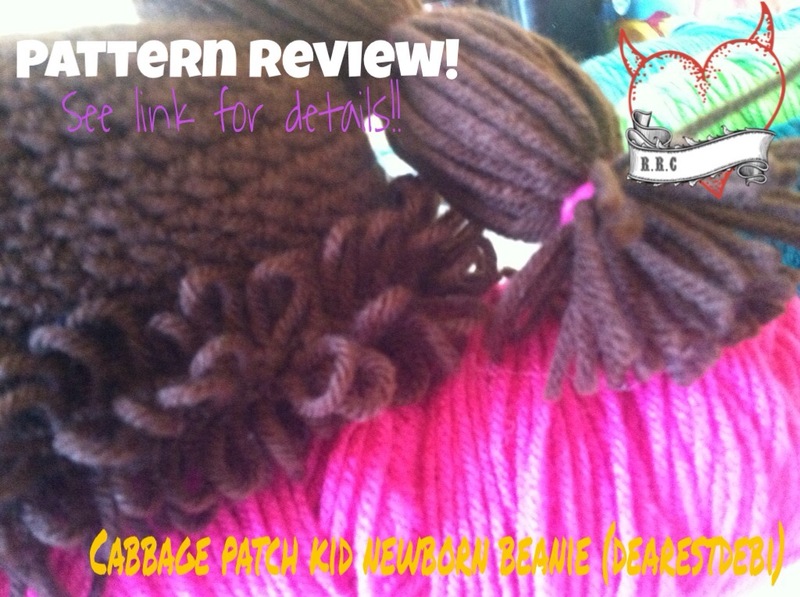 That FREE pattern can also be found HEREhttp://dearestdebi.com/crochet-cabbage-patch-kid-newborn-boy-beanie. I really loved making this. It took me no time at all. I do plan on making more. That fun loop stitch is addictive! These hats are just too cute! My mom made one for my daughter when she was born.